Not too big and not too small... This 2 bedroom home has lots of appeal both inside and out. Beautiful fenced yard with storage shed and deck. Neutral color scheme means an easy transition for the new owners. Living room is spacious and open to the kitchen and dining areas. Plenty of room to stretch out the table for guests. Kitchen appliances are included. 2 bedrooms on the main floor. 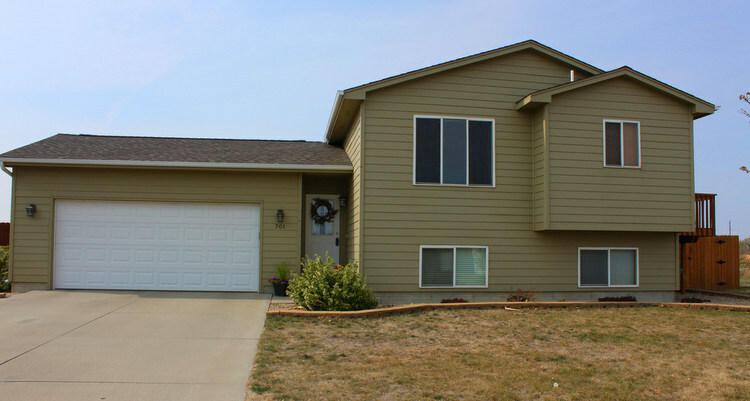 Finished lower level has a tiled 1/2 bath and a large family room with closets for added storage. So many updates! This home was moved to a new foundation and basement about 12 years ago. 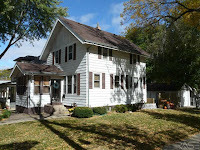 Vinyl siding, updated furnace & CA. Large spacious rooms throughout. Possible 6th bedroom. Very nicely finished lower level with 2 bedrooms, large bath with whirlpool and lovely large family room with wet bar. Main floor family room which could also be used as a formal dining room. Laundry room off the kitchen for convenience. Spacious dining area. Newly fenced yard, Oversized double garage with parking pad. Deck & Patio. Looking for that open feeling? Here it is! Wood blinds on all windows, laminate on all floors except bedrooms. Fans in most rooms. Garage any man would love - totally insulated, sheet rocked and room to work on a car and still park two cars. Nice play area between house and garage in quiet neighborhood. Immaculate split foyer. Nothing to do but move in. 3 bedrooms 2 baths, stainless steel appliances, huge family room with wet bar, electric fireplace. Privacy fence in the backyard. This is the perfect starter home. 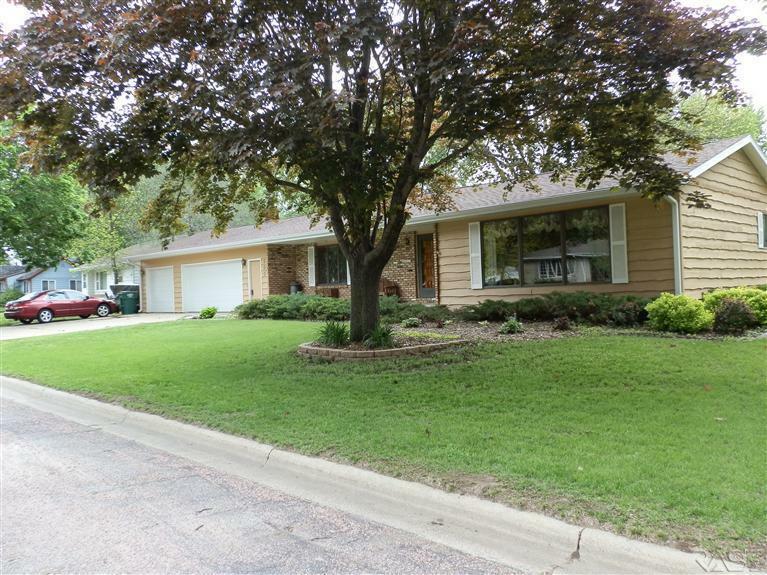 Beautiful 4 bedroom, 2 bath ranch walkout in great neighborhood. 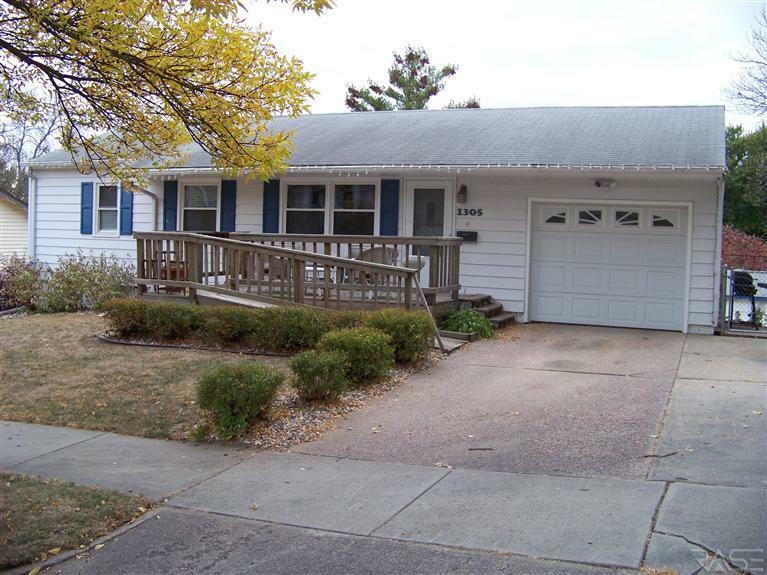 Home features 3 bedrooms on the main floor, newer floor coverings, interior paint and windows. Kitchen has freshly painted cabinets, new ceramic backsplash, sink, faucet and flooring. The living room and hallway have beautiful wood floors. The lower level boast a 4th bedroom, 3/4 bath, office/workout room and a spacious family room with walk out to a large fenced in backyard with patio, landscaping, and storage shed. 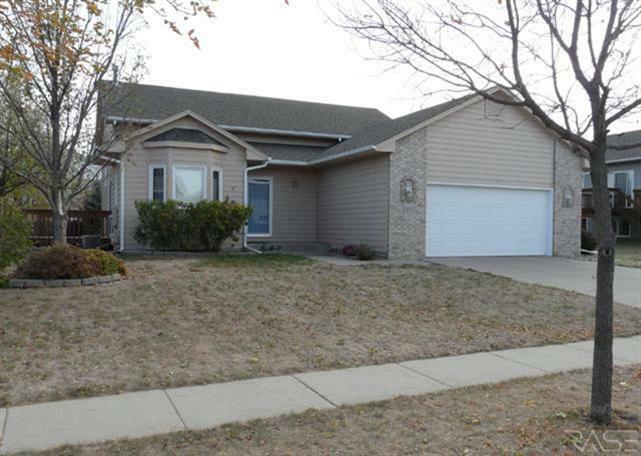 This home is within walking distance to Cleveland elementary school and Frank Olson Park and pool. Check out the original vintage woodwork throughout this beautiful two story home. Three bedrooms and one bath plus a single detached garage located across the street from Longfellow elementary school and only two blocks to McKennan Park. Updated kitchen with Dakota Kitchen and Bath maple cabinets. Formal dining room opens to the living room. Pocket door from the front entry foyer to the living room. Front porch converted into three season room with knotty pine finish. Sitting room off the master bedroom. Roof was new in 2004 and furnace and central air were replaced in 2011. Lots of charm and character in this historical home located in the McKennan Park District. Simplify your life before the snow flies! Sundrenched & immaculate 1 bedroom, 1 bath main level (first floor) end unit condo at Georgetown On The River. Spacious living/dining combo. Living room features a bay window w/built-in window seat w/ built in storage & French door to updated private deck(2011). Updated furnace & central air in 2011. Spacious master bedroom features walk-in closet. Efficient kitchen with pantry, snack bar & appliances stay (refrigerator negotiable). Security System, elevator & heated underground parking garage stall & storage. Stackable washer & dryer located right within unit. Convenient location..EZ access to shopping, interstate & bike trail. 1st time offered since 1994. Low utility costs & taxes. Reasonable monthly HOA dues-$139/mo for lawn care, snow removal, water, soft water, garbage & exterior maintenance, exterior insurance, maintenance of common areas. Dues based on size of unit. 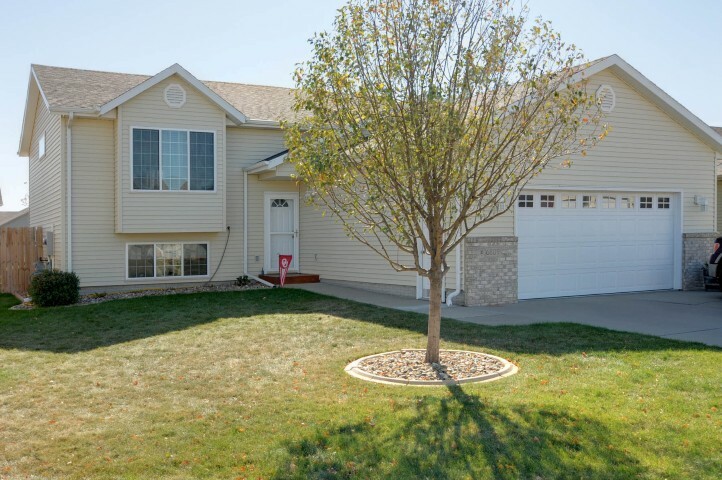 Exceptionally nice split foyer on the west side of Sioux Falls. 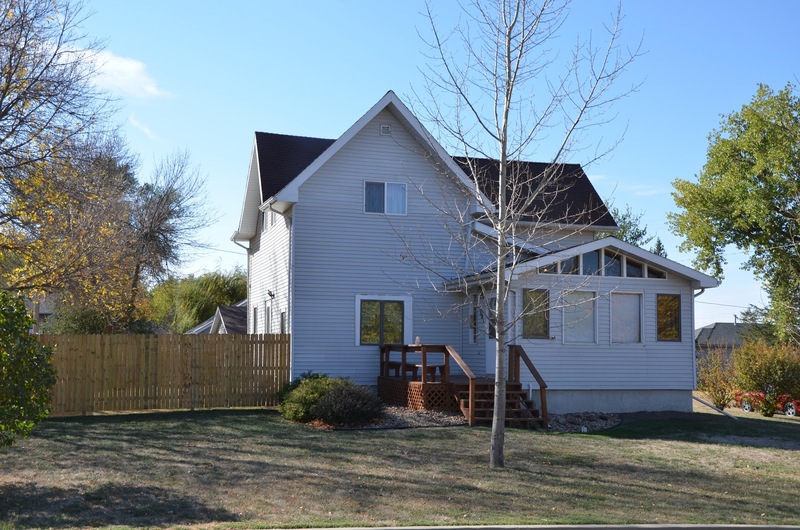 This 3BR/2BA home is perfect for watching the beautiful South Dakota setting sun from the patio. This home sits on a huge lot with over 17,000 sq ft, most of which is enclosed by a 6' privacy cedar fence. No back yard homes to block your view. The main level features a living room; eat-in kitchen with stainless steel appliances, slider leading to deck for entertaining, master bedroom, second bedroom & full bath. Lower level features a cozy family room w/gas FP, 3rd bedroom & full bath all completed by a professional contractor. New carpet upstairs & a freshly stained deck both completed in 2012 and the family room is wired for surround sound. Also, there's a shed located just outside the fence for storing all your lawn & garden tools to free up room in the garage. This is a must see home! 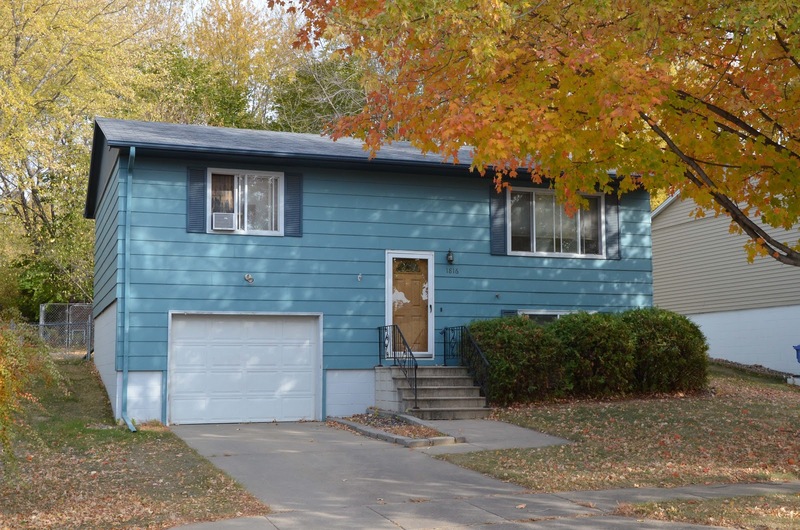 Immaculate 4 bedroom/2 full baths split foyer home. Wide open with vaulted ceilings, picture window in living room & slider to newer Redwood composite deck. Check out these upgrades in the kitchen: GRANITE counter tops & Mosaic tile back splash. Durable & stylish wood laminate flooring in the kitchen, dining & living room. Kitchen has huge island, sliders to deck and all appliances are included. Master bedroom features tray ceiling w/pass-through door to full bath w/tile floor. LL has 2 bedrooms, full bath & large family room & game area. Other features include tiled entry, family room wired for surround sound & the garage is sheet rocked and loaded w/custom-built cabinets. Backyard is beautifully landscaped w/privacy fenced yard & lawn sprinkler. Extra Attic storage, radon mitigation, sump pump and water softener all included!